UB40’s mass appeal from the 1980s onwards, and their move into a more comfortable pop-reggae niche as the years went on, sometimes means that the strength of their early albums is overlooked. This is a mistake as there is power and authenticity in these early albums. These two ‘deluxe’ releases revisit ‘Present Arms’ (their second album, initially released in 1981) and ‘Labour of Love’ (their fourth album, released in 1983, which would bring them mass international success). For this re-release, each album is issued as a 3-CD collection. ‘Present Arms’ is accompanied for the first time by ‘Present Arms in Dub’, originally issued a few months after the parent vocal album. The music within is well-known. Highlights on disc 1 include the striking sound of still-relevant ‘One in Ten’, ‘Don’t Let it Pass You By’, and the welcome addition of the 12” version of ‘Don’t Slow Down’, which curiously enough does slow down to take us into a great extended dub fadeout. Disc 2 is ‘Present Arms in Dub’. This previously seemed a little disappointing in its interpretation of dub, but now sounds more impressive, perhaps through the improvement in sound quality or the simple passage of time. The dub of ‘One in Ten’, and the classic bass line of the closing track ‘Neon Haze’ (the dub of ‘Silent Witness’), are as good as ever. Disc 3 adds something different in the shape of live BBC radio sessions from 1981. These begin at a cracking pace with (again) ‘One in Ten’ but there are also performances of tracks from the their first album ‘Signing Off’ including ‘Food for Thought’ and ‘I Think It’s Going to Rain Today’, the latter as part of a closing run-together of three tracks. The production of these songs is excellent. Whatever view you take of UB40’s latter-day output, or which current incarnation of the band you favour, there is some great reggae music here, sharp and politically informed, mirroring some of the urban anger of the Specials’ output of the time. ‘Labour of Love’ was even more of a commercial breakthrough for UB40, and, unusually for a reggae band, charted highly in the USA as well as the UK. It consisted wholly of covers, not only of classic reggae songs like ‘Many Rivers to Cross’ but also of less likely targets such as Neil Diamond’s ‘Red Red Wine’ (which had previously been performed in a reggae style by Tony Tribe). Disc 1 is the original album, featuring the long version of ‘Red Red Wine’ and a good account of Dandy Livingstone’s (aka Boy Friday’s) ‘Version Girl’ although it ultimately sounds a little thin in comparison with Livingstone’s rugged DJ-ing take on the song. Disc 2 features ‘singles and B sides’ and there is interesting music here, including strong dubs of ‘Sufferin’ and ‘Cherry Oh Baby’, a live version of ‘Food for Thought’ and a different version of ‘Johnny Too Bad’ from that on Disc 1. The third disc is composed of BBC live tracks from 1983 and 1984, including the sweet but neglected single ‘Love is All is Alright’. There would of course be ‘Labour of Love’ volumes II and III in later years, and the commercial appeal of covers would be evident in single hits like ‘I Got You Babe’ and ‘Can’t Help Falling in Love’ but something of the spark of a creative band started to be lost with this immersion in crossover pop reggae. But that original sound is still there in these ‘deluxe’ releases. What would be even better? Maybe an album-set consisting wholly of 12” versions as originally released, ideally including ‘The Earth Dies Screaming’ where unusually the instrumental dub precedes rather than follows the vocal track; or the lengthy dub takes on ‘I Think it’s Going to Rain Today’ or ‘Dream a Lie’, or the hard-to-get- hold-of 12” version of ‘King’. If that release ever happens you’ll hear about it here. UB40 are touring in the UK in May and June 2015. UB40 ‘Present Arms’ and ‘Labour of Love’, each available as 3-CD Deluxe Editions and also as 2-LP 180g vinyl, released 2nd March 2015. It’s back to the roots with this excellent collection of ‘rare dubs’ from Attack Records, recorded during the 1970s under the direction of producer Bunny ‘Striker’ Lee and representative of one of his several labels of the time. Don’t expect digital refinement and state-of-the-art studio sound. It’s vintage dub where the volume control has to make up for the basic quality of some of these early analogue recordings. The compilation begins with ‘Don’t Cut Off Your Dub’, a fine version of Linval Thompson’s ‘Don’t Cut Off Your Dreadlocks’: a familiar and powerful dose of classic-era dub to get things started. ‘A Dancing Roots Version’ (a dub take on Cornell Campbell’s ‘A Dance in a Greenwich Farm’) sums up the strengths of the album and, again, will be instantly recognisable to people with any kind of interest in this seminal period of dub reggae. Johnny Clarke’s ‘Easy Skanking Version’ sounds like a lesson in early dub mixing, while the involvement of King Tubby is evident in the distinctive hi-hat sound to be found on several Johnny Clarke dubs here. There’s strength in the very simplicity of Derrick Morgan and Hortense Ellis’ dub of ‘I’m Gone’ while the very heavy dub of Horace Andy’s ‘Money Money’ is still vital today. Musicians involved are the A-list you would have anticipated, including Tommy McCook, Ansel Collins, Aston ‘Family Man’ Barrett (and there are a couple of Marley tunes here), Robbie Shakespeare, Lowell ‘Sly’ Dunbar and Tony Chin. An exquisite roots-of-the roots collection. 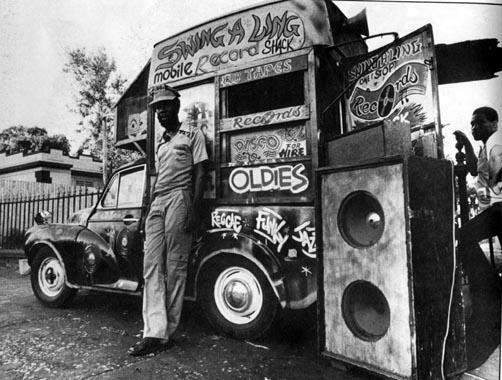 Attack Dub: Rare Dubs from Attack Records 1973-1977; released on Jamaican Recordings (CD/vinyl), February 2015. The hip-hop style of the Scribes is now firmly established as an alternative to the predictability of much mainstream output (in hip-hop and beyond) and here they are with their second album ‘A Story All About How’. Their 2012 debut album ‘Ill Literature’ (see reggaemusic.org.uk 22nd October 2012) set the pattern of thoughtful and aware hip-hop offered here. ‘A Story All About How’ is a 16 track album recorded over the last few years in between touring commitments – appearances which have included an impressive and diverse range of acts including GZA from Wu Tang Clan, De La Soul, Macklemore, MF Doom, Example and Coolio, and performances at festivals and venues including Glastonbury, Boomtown Fair and Urban Ibiza. The new album demonstrates a wide range of influences and features powerful tracks including ‘Crowd of Thorns’, with its rock band styling and strings, and ‘Industrial Growth’, introducing a slower feel with its opening electronic score. ‘CONvictions’ opens with a purely vocal intro, and the album closes strongly with ‘Hazy’, some nice guitar chords taking us into another rap. The pattern is essentially that of ‘live’ instrumentation, a rock band framework for a highly distinctive take on hip-hop. It’s hip-hop for people who never thought they liked hip-hop. Lead single ‘Blood In Your Eyes’ combines synths, guitar and strings atop rapid beats and a brisk rap style, illustrating the band’s feel for real instrumentation as well as purely vocal exertion. The video here for the single to some extent continues the weird theme of the single ‘Monsters’ from their previous album and manages to display a nice sense of humour within an intriguing take on contemporary UK hip-hop. The Scribes: ‘A Story All About How’, released 29th January 2015, on CD/digital download. Here comes a new single release from Kalbata and Mixmonster’s ‘Congo Beat the Drum’ album (see reggaemusic.org.uk 2nd March 2014 for review of the full album). ‘Inna Skateland’ is a slow-burning dancehall-inclined track, featuring vocals from Puddy Roots and a particularly strong bass line, displaying the vintage sound of analogue-era reggae music at its best. With old tape machines and analogue mixing it’s an unusually authentic sound, generating a convincing roots/dancehall/reggae feel. The flip is a previously unreleased dub version of the vocal ‘Skateland’ track, an excellent old-school dub with driving bass and drum/echo; a B-side that more than justifies selection of this track for single release.